For over 400 years, Fr. Scupoli's the Spiritual Combat has provided time-tested strategies for achieving victory over the flesh and the devil, and is acknowledged to be one of the greatest guides to guide one to virtue in time of temptation. St. Frances de Sales carried this little work wherever he went, consulting it often. 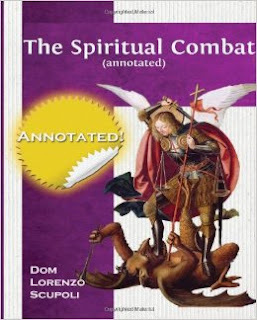 The Spiritual Combat is one of the all-time greatest and best-known classics on the spiritual life and is a book that will inspire and instruct today just as it has for over 400 years.